We would like to mention here narration from Bukhari about Mutta'a. Here is the narration. Please read the narration of Bukhari and find the person in Islamic history who changed the proven Quranic law and testified by the Prophet (phbu). We will find that it’s Umar bin Khattab who changed it. We believe, In the light of above proofs it is enough to understand that Umar bin Khattab is the one who changed the law of Mutta'a with regards to temporary marriage and also Mutta al Hajj. 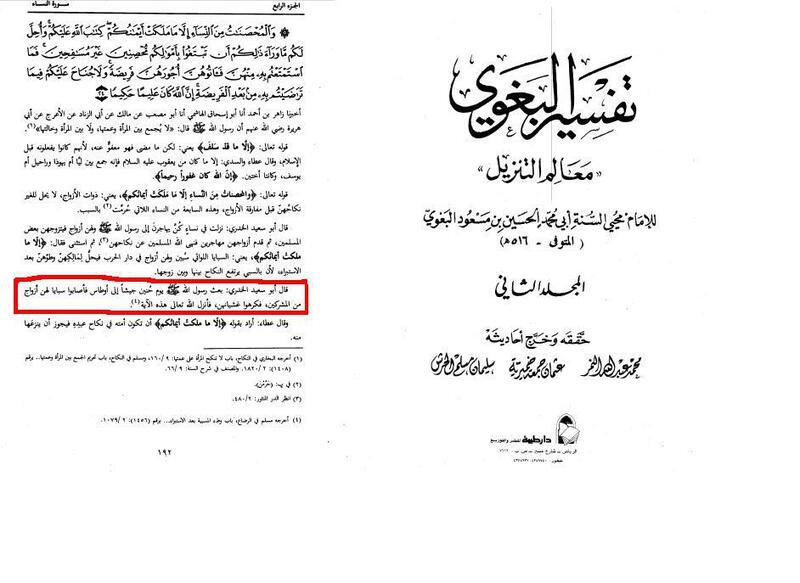 We know that our sunni fellows bring the Hadith against Mutta'a that the Holy prophet banned it at the time of Khaiber. But we have another Hadith that the Holy Prophet again allowed it at the time of victory of Mecca (year of Oawtas). If Mutta'a was banned at the time Khaiber, how come it was again allowed at the victory of Mecca?. We know that the battle Khaiber happened in 7th Hijjrah and the victory of Mecca was in 9th Hijjrah! 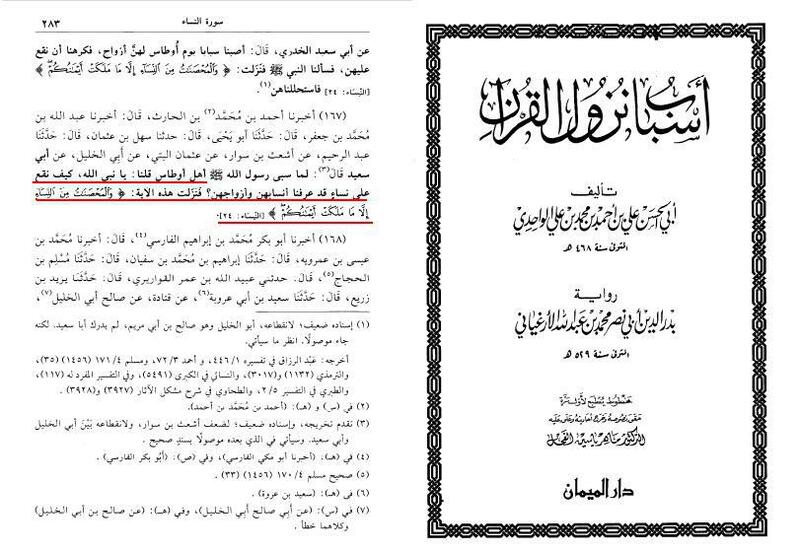 We have also mentioned the narrations by Jabir bin Abdullah (ra) that they used to do Mutta'a whole life time of the Holy Prophet and during the time of first caliph Abu Bakr, Umar bin Khattab banned it! We have also mentioned the narration about Abdullah bin Abbas from Bukhari. According to Ibn e Abbas opinion Mutta'a is allowed until the Day of Judgment. We would like to mention another interesting thing that Mutta'a is also supported with the verse of Quran 4:24. In this verse Arabic word Mutta'a ( FA MAS TAM TA'ATUM) itself is used. This is also interesting that Sunni sources say this verse was revealed at the year of OATAS (8th Hijjrah) which supports the Mutta'a. Please find the proof from Sunni sources. "And all married women except those whom your right hands possess (this is) Allah's ordinance to you, and lawful for you are (all women) besides those, provided that you seek (them) with your property, taking (them) in marriage not committing fornication. Then as to those whom you profit by, give them their dowries as appointed; and there is no blame on you about what you mutually agree after what is appointed; surely Allah is Knowing, Wise." We do not find any other verse in Quran which cancel the verse of Mutta'a. It is not strange if Umar bin Khattab ban something which is proven by Quran and Sunnah, as we find in the other narrations of Sahih Muslim.